Is it safe to eat that much fat? Will I want to eat that much fat? To justify the first question, I considered that I was eating a ton of sugar every day. I ate dessert daily, on top of other forms of simple carbs like rice, pasta and bread. Even thought it seems drastic, eating that much fat couldn’t be that detrimental to my health when compared to my current diet. Before I get into the second thought, let me delve into how hard it is to follow the keto diet. I have perfectionist tendencies, and this concept took me a lot of experience to figure out. I still work on it. If I don’t hit my macronutrient goals on a particular day, nowadays I don’t sweat it. Same goes for tracking my food intake. If I estimate, or forget something I ate, no big deal. Instead, I concern myself more with the longer-term monthly trends. When you first start your journey, this doesn’t come easy. Small setbacks eat into your soul, because you want something so bad and you know it’s going to take weeks or months to come. When you start to see progress, this feeling slowly fades. It’s hard to make many concurrent changes to your diet at once. It becomes too much to handle with the stresses of daily life. 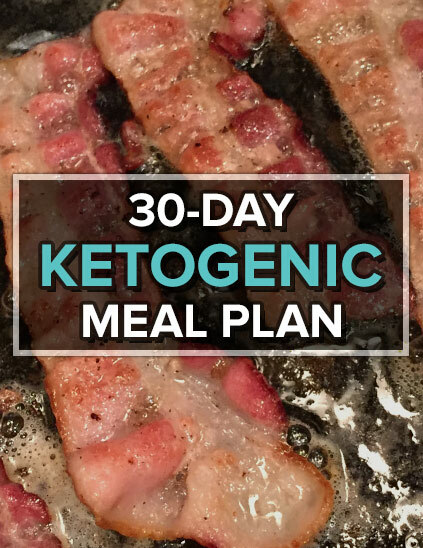 Part of the reason I’ve been so accountable over the last 6 months following the keto diet is because I adopted many keto-friendly habits in the years prior. Drinking Water Only – This was the first major switch I made about 4-5 years ago. I used to consume sugary drinks regularly, ignorantly believing fruit juice and Gatorade weren’t contributing to my weight. I wasn’t ready to give up food just yet, but I decided that I would eliminate most liquid calories, with the exception of beer while with friends. I include coffee and tea without sweetener in this list. Reducing Bad Carbs – Still during my fast food phase, I’d often go to Wendy’s and order the Grilled Chicken Sandwich combo with Chili and Unsweetened Iced Tea. Or I’d opt for two sandwiches and combine them into one, throwing out one set of buns! Hey, it’s not ideal, it’s about baby steps. Eliminating Meals on “Cheat Days” – At this point, I didn’t know much about nutrition and wasn’t following a specific diet. Only trying to eat whole foods and less fast/processed foods. But if I knew I was going to eat a lot of carbs (like getting sushi with my parents), I’d often skip breakfast or lunch to manage calories. Eating Salads – Growing up, I was the pickiest eater. I didn’t like many green vegetables. As I got older and become enamored with the show “Man vs. Wild”, diversifying my diet seemed less daunting. If Bear Grylls will eat puss-filled insects for fuel, I think I can handle trying things I didn’t like as a kid. While I don’t eat a salad daily, I try to get leafy greens into my meals 3-4x per week. I’m not a side salad person. Give me a full salad with meat, nuts, cheese, avocado, eggs, carrots, onions… salads are meals to me. Weighing Foods – Since I track foods, I may weigh them out while cooking for accuracy. I’m also good at estimating now if I’m lazy. However, I didn’t buy a scale for the keto diet, I already had one from my years brewing beer. Beer recipes are precise, and the act of building recipes based on exact weights was sort of build into my thinking. Cooking – Here’s the elephant in the room, I LOVE TO COOK. I didn’t really begin cooking until college, however growing up, food shows always kept me glued to the TV. I think this was part of the reason I became overweight! But it also has become a huge asset in my journey of healthy eating. Eating Organic – I read a book called “The 100-Year Lie” that struck enough fear as to the consequences of our chemical-heavy world, and ever since I’ve been on a mission to live 100% organic. I’m still not there, years later. It’s not easy, but if I have the opportunity to buy organic over non-organic or GMO, I will. Growing Vegetables and Herbs – This interest was piqued from my passion for an organic lifestyle. Is there anything more natural, sustainable, and fulfilling than walking into your backyard and cooking food that you grew from seed? It’s also a great excuse to exercise more outdoors when I’m home. Let’s wrap with the second question I posed earlier – “will I want to eat that much fat”? It didn’t come without a few adjustments and bad days, but overall I find the keto diet extremely tasty and fulfilling. Do I crave carbs? You bet I do. That’s the mental side. However, I’m experiencing first hand many of the benefits I’ve read about when your body is in ketosis and burning fat. Choosing to adopt the keto diet is a personal decision. Only you can make it. But I can show the exact steps I took and the food I ate to take the plunge. I’m glad I did, because it’s been great for my weight and exponentially increased my knowledge on how nutrition affects the body.